If you or someone you know would make a great foster parent to a child in need, the Ingham County Foster and Adoption Orientation is being held tomorrow. 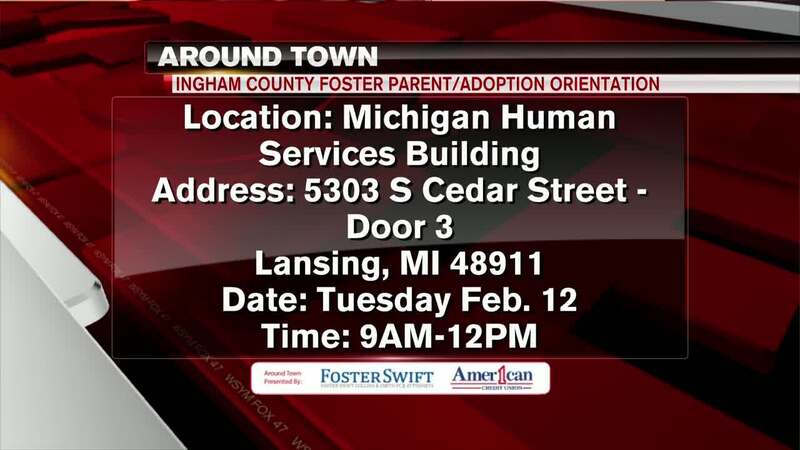 LANSING, Mich. — If you or someone you know would make a great foster parent to a child in need, the Ingham County Foster and Adoption Orientation is being held tomorrow. You'll be able to have all your questions about foster care and adoption answered. The orientation runs from 9 in the morning to 12pm.